Tech startups are sprouting at an unprecedented speed. However, with the rise in the number of tech companies, employers are hard pressed to find the right talent in such a competitive landscape. But while the tech talent gap is real, recruiters still fail to buy into a solution that is staring at them in the face: widen the talent pool by increasing diversity and inclusion in an industry known to be slow to embrace females and groups of minorities. According to this Forbes article, men hold 76% of technical jobs in the US and 95% of the tech workforce is white. A recent Pew Research Center report has also shown that although the number of computer-based jobs increased by 338% in the US since 1990, only 25% of these new positions are filled by women. And it’s not just the US—in the UK is estimated that only 17 per cent of employees in the tech sector are female. Even with India the tech industry being perceived to better embrace female employees—who make up 35 per cent of the sector—this is rarely the case in many countries around the world. While the concern of discrimination is present in every industry, this is even more so in the traditionally male-dominated Science, Technology, Engineering, Math (STEM) industries, which sees women representing only 32 per cent STEM graduates worldwide. “I believe that the biggest problem would be gender discrimination, which is evident in the ratio of boys to girls who take up STEM majors and careers,” says Chinkita Chugh, who recently graduated with a SMU Bachelor of Science (Information Systems) and landed a customer success manager role with Microsoft. However, tech companies are slowly taking steps to address the issue of gender discrimination in the hiring process, and to be stakeholders in grooming the next generation of female tech talent. 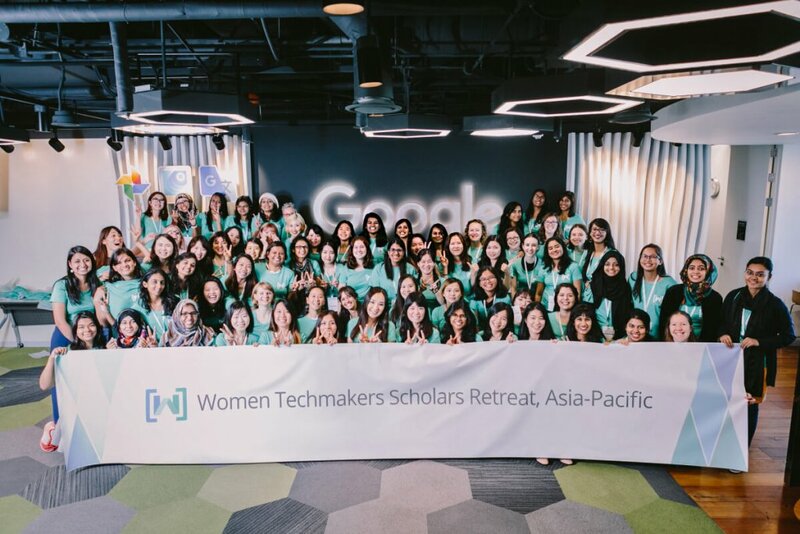 Chinkita, for example, was awarded the Google Women Techmakers Scholarship (Asia Pacific) in 2017 for leadership skills and involvement to community. There was a total of 12 scholars from Southeast Asia and this was the first time that students from SMU were awarded the scholarship. 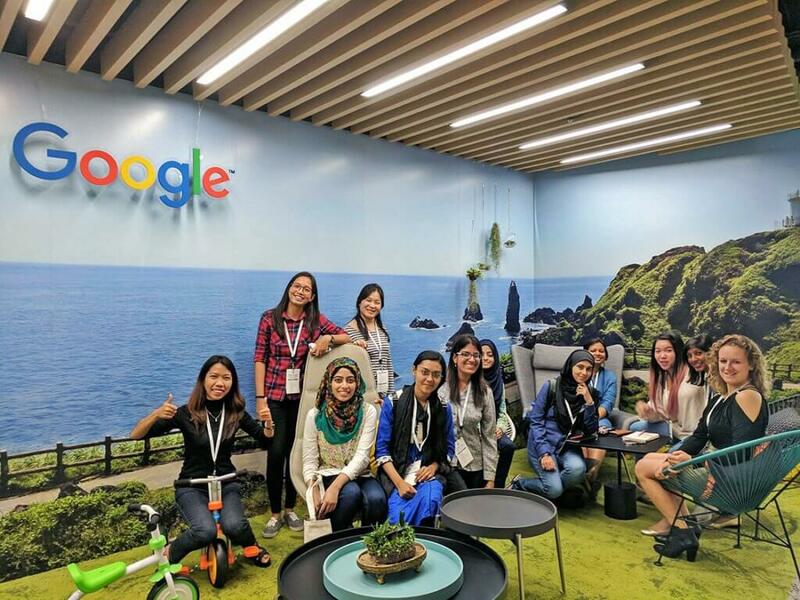 “The Google Women Techmakers scholarship rewards female students studying technical majors and provides a community of like-minded females to share opinions on embracing gender diversity,” explains Chinkita. Furthermore, during her internship with Microsoft, she had the opportunity to contribute to DigiGirlz—one of Microsoft Youthspark’s annual global signature programme held in 65 countries to spark interest in STEM for secondary school students aged from 13 to 16. 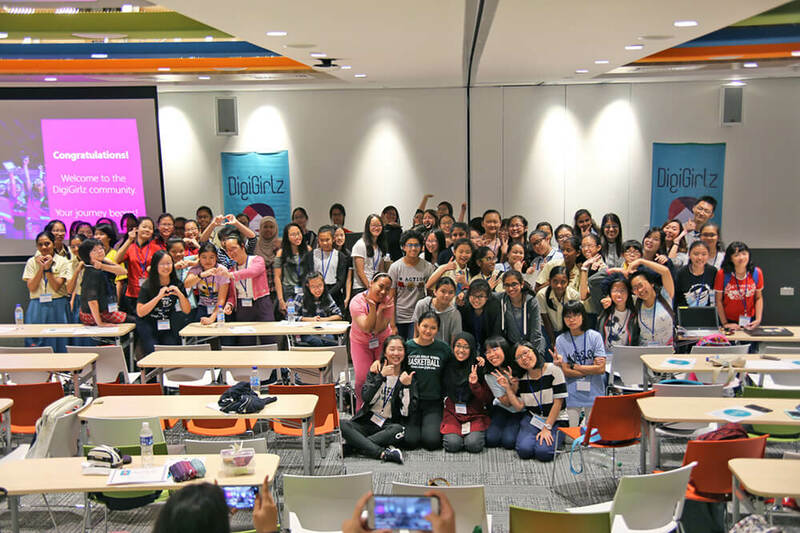 The 2017 Singapore DigiGirlz event was held with the theme of Tech Adventure to portray how technology is prominent in various industries, and the interns were responsible for planning and executing this as part of the stretch project. Despite the discrimination and workplace stereotypes, women excel in tech industries more than people realise. Indeed, research by the Kauffman Foundation showed that technology companies led by women achieve a 35 per cent higher return on investment than firms led by men. In addition, Forbes also found that while women tech entrepreneurs receive 50 per cent less venture capital funding in general, they produce 20 per cent higher revenues than their male equivalent. These studies aim at showing the tech industry how women pursuing tech careers are equally capable in a male-dominated industry. And educational institutions like SMU are also playing a key role in promoting diversity in the classroom and beyond, forming the foundation for female students to step up. 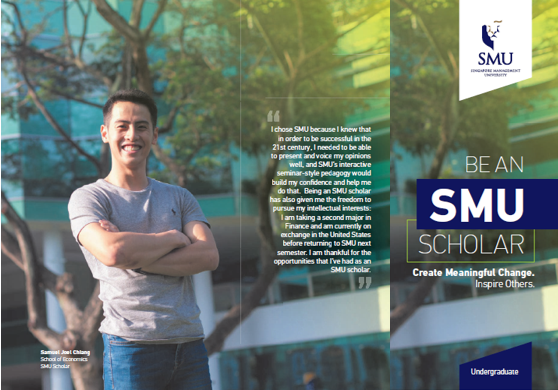 “SMU’s holistic education has prepared students, like me, for the industry. The emphasis on class participation and presentations allows me to share my opinions freely and learn from other classmates,” explains Chinkita. 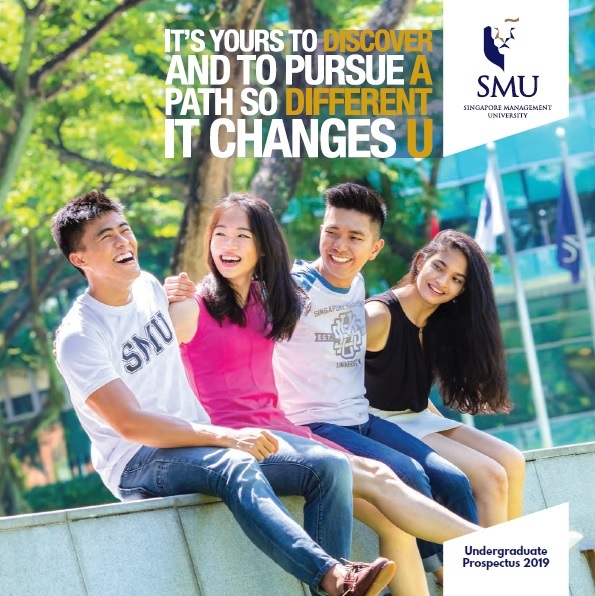 Through these efforts, SMU hopes to cultivate diversity and encourage students to pursue careers that interest them, even if it means having to step out of their comfort zone and push traditional boundaries. “By joining SMU’s co-curricular activities, I was able to gain work-life balance and make new friends. 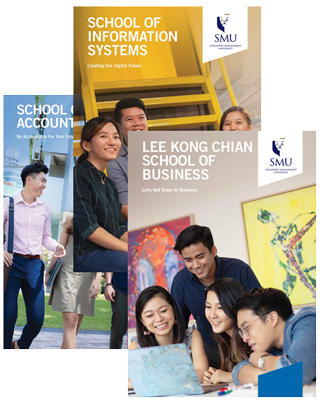 SMU also has a lot of overseas programmes, which I highly recommend. By taking part in the Technoprenuership study mission to Germany, technology pitch competition at Korea and study exchange program to Babson College, USA, I was able to gain insights on the technology industry in various countries,” Chinkita adds. Ultimately, women should also take charge of their own future by breaking out of their comfort zones and developing the confidence to delve into industries traditionally led by their male counterparts. “Most women are not willing to take up new assignments or challenges because they believe that they don’t have the necessary skills,” says Chinkita.